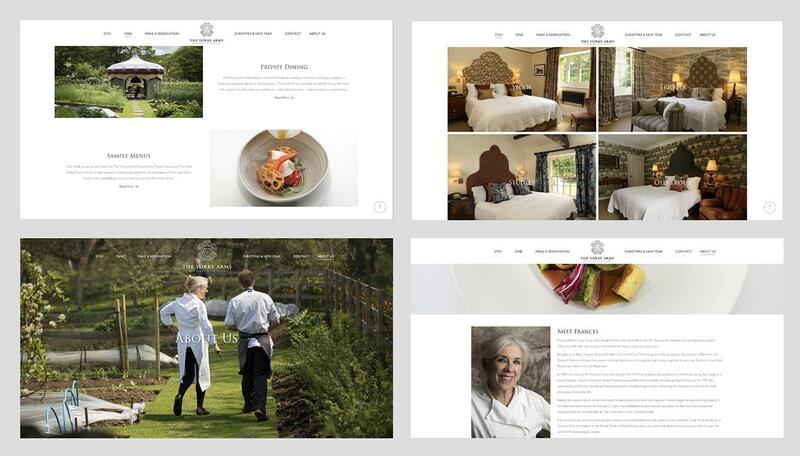 The Yorke Arms were looking for a digital marketing agency to design and build a new website for the Michelin starred restaurant with rooms. As an agency of food lovers, we were more than happy to get involved! As part of its recent investment and refurbishment, The Yorke Arms wanted a new website that was simple, easy to navigate, easy to understand and clearly told the story about the unique and picturesque establishment. Putting the user at the heart of the experience, our digital team worked closely with The Yorke Arms team to develop a wireframe and sitemap that focused on a simple user journey, making it as easy as possible for customers to find what they’re looking for in as fewer clicks as possible. The Yorke Arms is one of the only Michelin Starred restaurants with a female head chef so we wanted to make a focus of this on the website to tell Frances’ story, as well as show the real people behind the brand. In addition to this, the hotel rooms have been refurbished each with their own bespoke style. 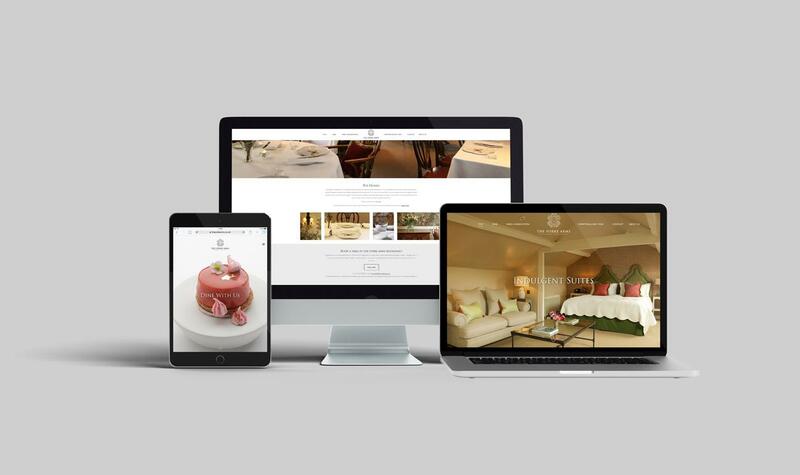 To really make a feature of the rooms and to highlight the hotel’s elegance and comfort, our design team created a website design that used stunning, full screen images throughout the site of the rooms, restaurant and food. Our developers then got to work building the website and ensuring the website performed well from an SEO point of view. The website also incorporates seamless integration of two different booking systems – one for the rooms and one for the restaurant table bookings. Following launch, the website has grown organically and we have continued to work closely with The Yorke Arms team to add new rooms as they open to the public and add seasonal promotions. The finished site showcases The Yorke Arms’ unique offering and beautiful surroundings, with enticing imagery to tempt customers to try the food and stay at the hotel. Feeling hungry now? Check out the recipe book design we did for Quorn.